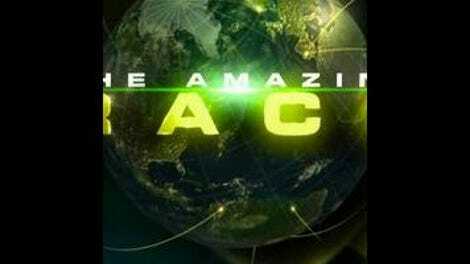 It’s a special honor to be writing about The Amazing Race this week, mainly because it means I’m the only person online who isn’t live-blogging the Oscars. Will Meryl Streep win her 87th Academy Award? Who is Rooney Mara wearing? Will Billy Crystal remind us why we didn’t miss him? Will we never have to hear about The Artist again after tonight? These are not my concerns. The most pertinent question here is: Who will be eliminated… next? The Detour provides a handy lesson for future TAR competitors: If one task allows you to be in control the entire time, while the other features a random element, always choose the former option. Every team except the Border Patrol chooses “Boil My Water” over “Light My Fire,” but as Art and J.J. note, boiling a kettle of water with solar power requires the cooperation of the sun. Since it’s still early in the morning, the sun isn’t quite hot enough to heat the water in a timely fashion, so even though the Border Patrol duo gets lost on the way to its task, it's still able to finish it before all other teams except Mark and Bopper (hereafter known as Team Holler, both for their Kentucky roots and Bopper’s normal speaking volume). Next up is an 18-hour bus ride to Buenos Aires. There are three buses departing at different times, and while it at first appears that the Federal Agents and the Country Cuzzins will be duking it out for last place, fate steps in as it so often does during The Amazing Race. The second bus to depart, containing four teams, has to stop after one of the windows shatters under mysterious circumstances. While that bus is pulled over to the side of the road, the third-place bus passes it, with the two teams aboard oblivious to the fact that their bacon has just been saved by random chance. The Roadblock requires one member of each team to be able to perform a simple math task, which is always a stretch for reality show competitors. The chosen team member must calculate the average weight of the cows in a pen (given the total weight and the number of cows) and present it to the gaucho before an auction is completed. It’s a chaotic task, which the front-running teams complete by teaming up and comparing notes. I don’t really have a problem with that sort of thing this early in the race; yes, you’d love to get the prize for winning a given leg, but as long as you can ensure you’re in the top tier of finishing teams, there’s no real harm done. Rachel and Dave are first again, cementing their position as the team to beat. This may cost them later when the U-Turn comes into play, but as long as they avoid using the Express Pass for as long as possible, they should be all right. Rocketing up the charts in the “most unlikeable duo” category is Team Big Brother. As I mentioned last week, many of you are way ahead of me here, since I was not familiar with their prior reality-show antics before the start of this season. But if Rachel is going into meltdown mode this early, I can only imagine how insufferable they’re going to become. Alas, it’s the day the clowns cried, as Dave’s failure to comprehend simple division dooms the ambassadors of laughter. I can’t say I’m broken-hearted to see them go, but seeing Cherie in her red nose at the end made me think they should have been forced to dress in complete clown garb from the beginning. Sure, the big shoes might have slowed them down a bit, but what’s the point of casting a couple of Bozos if they don’t look the part? At least we got some wacky circus music after Phil eliminated them. For some reason, the solar panel task had teams so flustered, they were using phrases that don’t actually exist. “Son of a monkey’s uncle!” “It’s hotter than shenanigans!” What? BB Rachel at the math task: “I don’t know anything about cows!” Aaaand… you don’t have to. Knowing about cows had exactly nothing to do with completing the task. Next week: Mountains o’ melons!